I am hoping that the advice I share here will help others who are unaware of the inappropriateness of certain comments and conversations. Over the years families may feel more anger and frustration than disappointment as if a cycle of disapproval or suspicion continues despite the knowledge there are extraordinary special needs in a family. If a member of your circle of friends, PTA or congregation is sharing this with you, it is likely that more polite conversation failed, and they may not apologize in advance for suggesting improvements in creating a more inclusive community of faith or support. We are aware that some of our strongest advocates and dearest friends are 'pro-choice' and that many who have declared themselves to be 'pro-life' have made a different decision than might be expected. We do not need to hear your firmly held beliefs either way, or to share our views on the subject in casual conversation. The fact that the topic is raised signals that when you see my child, you see his or her disability first, and are acknowledging that a choice could have been made whether to bring him or her into the world. Likewise, if racism is your only conversational topic when you meet a person of color, you are obviously not seeing the person first. Please relax, and just talk about the weather. We are aware of the blessings and benefits of adoption and foster care to children and families. It is inappropriate to assume that those who have adopted or fostered children with disabilities are better suited to be parents of a child with a disability. Every child deserves a family. There is as great a diversity among foster and adoptive parents as any group. 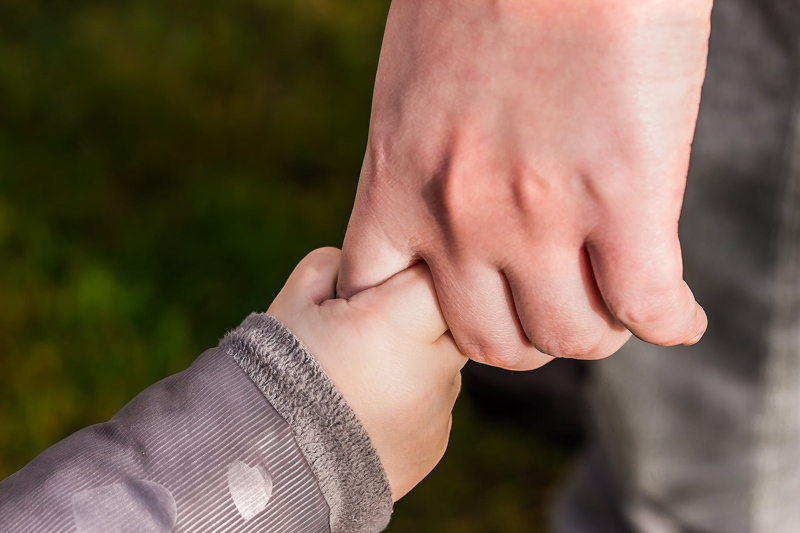 Adoptive and foster parents are as likely as any other parent to be overwhelmed, underprepared or flummoxed by a child's behavior, medical condition, or lack of opportunities and support for the casual inclusion of their children. There is not some magic well of perfection, ability or inspiration that foster or adoptive parents have found that make them immune to the challenges every parent experiences. They deserve to be acknowledged, valued and supported as individuals just like everyone else. Neither being a more vocal advocate or having the reputation of 'working wthin the system' and 'collaborating well' with school administrators, therapists or medical professionals means that foster or adoptive parents are better or worse than other parents. They are fortunate to have built their family with the amazing and wonderful children in their lives, just like the rest of us. No matter how you built your family, if you have met and admire my child, there is no need to dilute your expression of affection or respect by saying you love or admire all children with his or her disability. There is also no need to say he or she has done excellent work despite having this particular diagnosis, or seems high functioning compared to other children with his or other disabilities. If you are a foster, adoptive or birth parent, it is inappropriate to say that you would love to take my child home with you, or to compare him or her to your child with the same disability as if they all had the same talents, abilities, or personality. Our children are not in competition with one another, and if they were, mine wins hands down every time just like yours surely would for you. Likewise, it is inappropriate to challenge me to a competition about whose child has the most medical needs, behavioral challenges, meltdowns or other negative behaviors. It gives me no satisfaction when I could 'win' the contest without mentioning the most distressing events. Besides, I have already learned that my child's 'typical' peers can stress out their parents to the max going through what is considered 'normal' series of behaviors and attitudes. I feel compassion and empathy for every parent raising a child who expresses age-appropriate behavior as their main form of communication, or has a temporary setback, illness or injury that causes them distress. It is as important to us as it is to them that we focus on the positives rather than dwelling on the negatives. Tomorrow is not promised to any of us. A community of faith and secular circle of support should be there for us in everyday life as much as during times of crisis or great loss. When a critical comment rises to your lips, please stop talking and practice your faith or mind your manners. If you recognize that you have made some of the remarks above or engaged in these types of conversation, please forgive yourself right now and move on. If you were not an amazing person of faith, or a wonderful friend to others, you would not have read this far. If our situations were reversed, you may very well have needed to share these realities with me. How else would I have known? or Reflections from a Different Journey : What Adults with Disabilities Wish All Parents Knew . CNN: John Franklin Stephens on his open letter to Ann Coulter: "Use me as a symbol for someone who fights adversity"